SCMEP invites you to participate in Manufacturing Day 2018! This day has been designed to expand knowledge about and improve the perception of manufacturing careers and manufacturing’s value to the North American economy. Students, parents, educators, civic leaders, manufacturers, and local communities are encouraged to attend. All are free of charge but require prior registration. REGISTRATION IS CLOSED. MAXIMUM CAPACITY HAS BEEN REACHED. Thank you for your interest. As the home of Mueller’s Pasta, American Italian Pasta Company is passionate about their pasta. As North America’s largest producer and marketer of dry pasta, they are a proud provider of quality pasta food products. Please note: Due to company policy, this event is not open to middle school students or younger. In partnership with Richland County Economic Development and Midlands Education and Business Alliance. Koppers is an integrated global producer of carbon compounds, chemicals, and treated wood products for the aluminum, railroad, specialty chemical, utility, rubber, steel, residential lumber, and agriculture industries. Trane Carolinas provides commercial HVAC solutions that reliably improve indoor environmental quality. Trane provides energy efficient commercial air conditioners, chiller systems, HVAC controls, HVAC parts & supplies, and building automation systems that contribute to sustainable building design. Sportsman Boats builds the fastest growing line of family-friendly center console boats in-class, built with the latest designs, procedures and materials to give you and your family unparalleled performance with a dry, safe and comfortable ride. Nephron Pharmaceuticals Corporation is a leading manufacturer of generic respiratory and 503B outsourcing medications. They produce affordable, high-quality inhalation solutions and suspension products that treat respiratory conditions, and we are the only manufacturer of Racemic Epinephrine, 2.25%, 0.5mL. As a leading provider of steam system solutions, Spirax Sarco is often the name that comes to mind first when engineers around the world think ‘steam’. That’s because their reputation is built on a century of experience and a global presence with more than 1,100 dedicated industry engineers in over 100 countries. AVANTech, Inc. is a comprehensive industrial water treatment solutions provider. Their extensive experience in engineering process systems enables them to create integrated solutions that can dramatically improve operations in industrial, commercial, power, and nuclear power applications. As pioneers in precision metalforming, Dayton Rogers introduced its vision of excellence in 1929 with a simple commitment – to create solutions that are integral to your success. From metal stamping to welding and sheet metal fabrication, their brilliantly engineered solutions are innovative, affordable, and reliable. BOMAG Americas, Inc., is a leading manufacturer and marketer of compaction and road building equipment. Phoenix Specialty Manufacturing is passionate about their product. When it comes to washers, shims, and precision stampings, nobody works harder or faster to deliver high quality, precision parts. Since 1907, they have been the leading supplier of custom specialty parts to Original Equipment Manufacturers (OEMs). Predictable quality and reliable delivery are the hallmarks of Phoenix Specialty. Mogul South Carolina Nonwovens Corporation is dedicated to the development and manufacture of high quality spunlace nonwoven into wipes, hygiene, and technical markets. 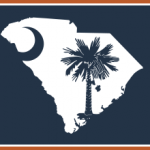 Located in Gray Court, SC, Mogul South Carolina Nonwovens Corporation is a wholly-owned subsidiary of Mogul Nonwovens and was established to better serve current customers and the needs of a growing market. The US organization also acts as a support platform for exports to markets in Central and South America as well as in China and Asia Pacific. The Gray Court plant is a 92,000 square foot facility with significant land set aside for future expansion. Initially focusing on spunlace production, further growth of the South Carolina facility will be driven by market demand. With 70 years in the signage industry, Colite is a world leader in full-service sign manufacturing. They understand that your brand is your statement to the world. That’s why they work to protect it. Colite manages every aspect of your signage program in-house, bringing the right people, products and technology together to ensure quality and brand consistency. On every project. Every time. No matter how complex.